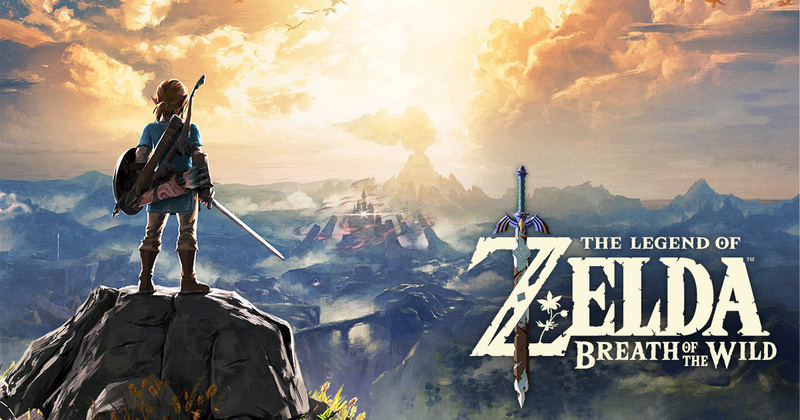 The hit game The Legend of Zelda: Breath of the Wild has sold around 3.84 million copies between the Nintendo Switch and Wii U versions, a notable cross-platform success considering the circumstances of a new system launch and its ailing predecessor. Specifically, Breath of Wild sold 2.76 million units on the Switch and 1.08 million units on the Wii U. As we covered in an article discussing Switch sales, the console has only sold 2.74 million units so far, meaning more copies of Breath of the Wild were sold than the systems themselves. While this had been mentioned in analytical reports several weeks ago, it's funny to see Nintendo finally confirm this sales quirk, and it just shows how eager players have been to play the adventure title. With the Nintendo Switch having only been on the market for nearly two months, Breath of the Wild sales alone are already showing a marked improvement over similar first party titles on the Wii U. Unfortunately, Breath of the Wild is noted as the only Wii U title to surpass one million units during the 2016 fiscal year, despite having launched in March. However, the Nintendo 3DS, with momentum boosted by Pokémon Sun and Moon in particular, continues to show success even in these later years of its life. It had seven million-sellers in the last financial year, including multiple 'evergreen' releases. Let us know what you think of these sales results in the comments. It's too bad that nothing else but Mario Odyssey will come close to those numbers this year. 2017 looks bland as hell. Not bad sales for Zelda on Wii U considering the console is dead and it got no promotion or a Special Edition. I expect Mario Kart 8 Deluxe and Splatoon 2 to be million sellers within a month of their launches. @Yasume Apart from Splatoon 2 you mean which in Japan alone will sell millions. Nice to see a Kirby game can still throw some weight around as a heavy hitter. It'd be disappointing (and a little scary) if only Mario and Pikachu can push more than 1 million units in the fiscal year. Also worth noting: Breath of the Wild only needed to sell 2 million units to become profitable, IIRC, and sales are well past that point by now. Nice to see Kirby sell well. Those NSMB2 sales though. That's gotta be almost all in Q3/Q4 of the fiscal year because of SMR, right? 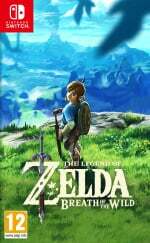 Did BotW surpass Skyward Sword in sales already? Mario party star rush deserves better sales...its brilliant and VERY underrated. They really listened to feedback to change it up. Breath of the Wild is gonna catch Twilight Princess before the end of this generation. To the million sellers club for next years reports. Nothing in year 2017 ?! @MrGawain It sold less than a million so it's not listed, what's suspicious about it? @JaxonH Neither of the Xenoblade games has sold over a million, so I doubt XC2 will sell a million by March 18. That will be a nice list if they all make it though. @Yasume I love the taste of tears. Bought Zelda twice,normal and limited. @IceClimbers I checked, and I was surprised. Not yet (although those are just the March numbers), by now? Probably. I wonder how well BOTW is going to perform during the rest of the year. Even for a Zelda game, this is a very strong start. @Octane There's sure to be another huge sales bump around the Christmas period, when a Switch, Zelda and Mario are all packaged together. Looks like a good financial year ahead for Nintendo. Splatoon 2 and, maybe, Arms have a very good chance of being million-sellers, while Mario Odyssey and Mario Kart 8 Deluxe are surely certainties. Pretty sure the first game has sold nearly 2 million. Even more from the 3DS port. I'm wondering if XCX didn't achieve the same. A lot of its sales were digital to reduce load times. Either way, I admit this is one of the harder sells for the million club, but with Switch's popularity and standing on the word of mouth from the first 2, I don't doubt it will make it, even if it doesn't reach that goal by end of year it should by end of life. Does this mean there are people out there who have a copy of Zelda and no switch to play it on? So the Wii u version did pretty good after all. Cool! Should give it a go. I try to play games from any genre imaginable, with the belief that every genre of game can be fun and entertaining... you just have to find the right game for you. Damn Nintendo is a monster when it comes to software sells. you can't even wait for E3? before judging that. I have played Zelda games in the past, Ocarina Of time for example (the 3DS version) and Also Twilight Princess on Wii. I really did try my best to get into them but just never really took to them for whatever reason. @Yasume Mario Kart 8 Deluxe. Mario Kart games sell bucketloads and there's tens of millions of Nintendo fans that have not played the original due to not owning a Wii U. @Morph Yeah nearly 2 million for a game that was released over 5 years ago is really impressive. I'm the same. Nintendo gamer since 1990, but never got into Zelda whatsoever until WindWaker HD came out for the Wii U, and I LOVED it. I don't know what it was about Zelda, as they looked amazing, were so popular, I have nothing but respect for them and their popularity, but they just never seemed to appeal to me. I'm not stupid, but it almost seemed like they were too difficult and awkward to understand for me personally. However, as much as I love WindWaker HD, I got it on launch day in 2013 as I loved the look of it, and am only on cave 7 I believe. I got stuck on a bit and haven't gone back to it in nearly 3 years. Yet I read about people saying how easy it is and how they completed it in a few hours. I'm jealous of those people lol. Time is a big issue for me now with a business, wife and children, so that hasn't helped. I got Twilight Princess HD on launch day too, and, like so many of my games, it's still sitting there shrink wrapped, unopened and unplayed. When I do get time to finally play, the thought of starting it just freaks me out because I know how crap I will be at it lol. I got Breath Of The Wild on launch day, and though I think it is amazing and worth every bit of its praise, I've managed to play it twice and have NO idea what I'm doing now. I think I'm still looking for this last shrine that some geezer on a tower told me to look for; I have NO clue what I'm doing now though. But yet I LOVE the game (what I've played), the freedom, the artwork, the style etc. With such little time I'm so much more of a quick Mario Kart session here, or a few levels of Mario, Donkey Kong or Rayman there, a few fights in Smash Bros or a few rounds of Call Of Duty or Mario Tennis Ultra Smash etc. @Yasume Mariokart and splatoon will do those numbers. Some good numbers there, I wonder if Sun/Moon will beat X/Y, depends whether there is any truth to the supposed enhanced versions for the Switch. Also some real evergreen titles there, NSMB2 is the real surprise. Years later and it still managed another Million plus sales. @SLIGEACH_EIRE I wonder how many of those remain sealed and used as shelf pieces or future investment for scalpers. I highly doubt we'll see a reprint or Selects version so will likely become a collectible like the original Twilight Princess. really impressive how nintendo can generate million sellers with evergreen titles that are up to 6 years old. can any other publisher do this? Nice to see Kirby is still a heavyweight! @Yasume splatoon is actually beating dragon quest on the Japanese coming pre order charts. I imagine it will do quite well everywhere else. Those Pokemon numbers are insane! "It's too bad that nothing else but Mario Odyssey will come close to those numbers this year." 2017 is the Year of Nintendo., which is great news. Pokemon is certainly where the money is, hopefully the Switch gets a Pokemon game sharpish. I just wanted to add that I also bought a Switch without Zelda. I'm a longtime Bomberman fan, so I pre-ordered that title before buying my Switch. I've also bought a large number of eShop only titles such as World of Goo and especially New Frontier Days (which is the title I've played the most on Switch, but oddly the machine doesn't keep track of the time spent on it). I also purchased a Puyo Puyo Tetris cart on lauch day this past Tuesday. I will add, however, that I do plan on buying Zelda eventually during a future game sale. While I'm not a big fan of 3D Zelda adventures (My progress tends to be slow in them. ), I greatly enjoy the 2D Zelda games such as the original game, ALttP, Link's Awakening, and one of my Favorites, Spirit Tracks. The only Zelda 3D game that really strikes a chord with me has been Hyrule Warriors, especially the 3DS version. Maybe some day you should buy one of the 2D titles on Virtual Console, especially since the cost would be a smaller risk. The beautiful thing about the Zelda franchise is the variety of game styles that it's had over the years. I want to apologize for my spacing in my above post--I'm posting these comments via the Wii U browser. I tried adding space between paragraphs, but it was only somewhat successful. Yeah that's not a bad idea trying the virtual console 2d route, as you say it's less of a risk if you don't like it. @Marios-love-child if it's any indication, I have some friends that generally hate 3D Zelda games, but adored Breath of the Wild. Has anyone realised that the switch outsold the ps4 & Xbox One after their respective first 4 Week on sale worldwide? @Morph I wonder if the Mario Kart 7 sales count the fact that it was packed in with the 2DS. That may account for the high numbers. That's more people buying the Wii-U version then I expected. I have both anyway but still wouldn't think it would be so high. First raction: Wow WiiU actually has a million-seller this year! That's amazing. Second reaction: Wow, Zelda U has an 8% attach rate. Ouch. Third reaction: I can't believe I actually got to legitimately say "Zelda U" one more time. @JSG87 PS4's hard to compare. It didn't go on sale worldwide at launch, the Japan launch was later, so it's difficult to really compare the "worldwide launch + Japan launch - worldwide sales during Japan launch period" against any other console launch. By the numbers PS4 probably sold better combining both periods/regions, but it also had more units available for purchase when combining both periods/regions, while Switch sold out and is found only via scalpers. I think "1st 12 month sale period" is the only way we'll be able to compare the two in a meaningful way. 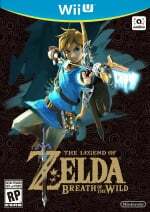 @SafariSuz FWIW, BotW is more or less a 3D reboot of the original game, so if you like the first one, you may very well like BotW more than all other 3D Zeldas which followed the Link to the Past formula, but became ever more puzzle games than action games as time went on. BotW is more pure action/stealth/exploration, with puzzles fairly few and sparse and generally 1-dimensional without really any of that multi-layer moving part puzzle stuff that's been running since Ocarina. There are SOME, but they don't dominate gameplay like they do in TP, WW, Ocarina, SS. @NEStalgia I know ps4 sold 14.2 million or there abouts so if Nintendo can sell the amount of Units they are aiming for then they should almost reach that and outsell xbox one in the process. If the switch can keep up this momentum though they should easily garner a bit more 3rd Party support. I know so many people who bought the Special Edition pack of Breath of the Wild but didn't pick up a Switch either in pre-order or attempt a launch day walk-in. So they all have un-played copies of the game waiting for when Switch comes back in stock and/or has a bundle. So I'm not surprised more copies of the game sold than the Switch...people wanted that Special Edition and all its goodies! I'm actually a little surprised (just a little) that there isn't a Mario Kart 8 Deluxe bundle but I guess the Switch really hasn't been on the market long enough for Nintendo to consider that. People are definitely missing out, Breath of the Wild and the Switch in general are AMAZING! Hm, 3.84 million copies aren't really that much, considering how many copies of MK8, Splatoon and Smash U were sold an how huge (I don't mean Hyrule) of a game BotW is. I'm hoping there will be more, because a game like Botw should at least have sold ~17 million copies (sold Wii U and Switch units combined) and even that is not enough for such a great game. @JaxonH I think you over estimate the appeal of a niche title like Xenoblade. It's a JRPG, not part of a big franchise like Final Fantasy, Dragon Quest, Tales. Not even a big developer really (at that time). You forget it wasn't even localised for the US for almost a year and it was near the end of the Wii's life. The 3DS release sold even less. It did well considering, and it spawned 2 follow ups. I hope XC2 does make it to 1m but it's unlikely. @Yasume Splatoon 2, XC2, Arms, and whatever they announce at E3 plus Mario Odyssey all look fantastic! @shani Relax; it's only the first month of sales. @DarthFoxMcCloud I was visiting my grandparents in Albany and got a special edition and a Switch relatively easily on March 26th. Where I live there were no Switches near me, but it is interesting to note that special editions are still being produced! It's just puzzled me a bit that not every Wii U/Switch user in the world has bought Botw immediately. I mean come on, it's a must buy. But you're right, they will probably do that in the following months. @Lysis MK8 sure. Splatoon 2 not a chance in hell. Splatoon 2 would have to sell slower than the first game for it not to be a million seller in a month. I think it could sell a million copies in its first week or two, if Japan preorder numbers alone are anything to go buy. @gatorboi352 It is going to debut very big in Japan, where the majority of that million in the first month will come from, and it will sell well globally its first month. I don't see how it doesn't clear 1 million very quickly, and I expect it to breeze past LTD sales of the first Splatoon by the end of the Holiday season. @gatorboi352 Splatoon 2 will do that easily. @GuruOfGreatness If you don't know what you're doing in Xenoblade Chronicles X watch a few episodes of a let's play. They'll give you tips and pointers to help you get going (Don't feel bad I had to do that to and after watching about 4 episodes and trying to play a little inbetween each it just clicked and then I couldn't put the game down. @shani Wii U users yeah it is weird, but for Switch ever Switch user has it; it has over a 100% attachment rate. Switches are hard to find right now. Certainly Mario Kart 8 Deluxe, Splatoon 2 and Super Mario Odyssey will reach a mil, easily (MK 8 Deluxe and SMO should sell especially well) but not sure about the others. I hope Xenoblade 2 gets there, those games are awesome and deserve any sales they get. Hopefully ARMS turns out to be this gen's Splatoon, not sold on it yet but we'll see. You guys seriously like pelting us with those puns do you? Anyway I still can't believe Zelda sold more than the Switch. Nintendo really gotta work up with stock shortages, else these sales might fall.